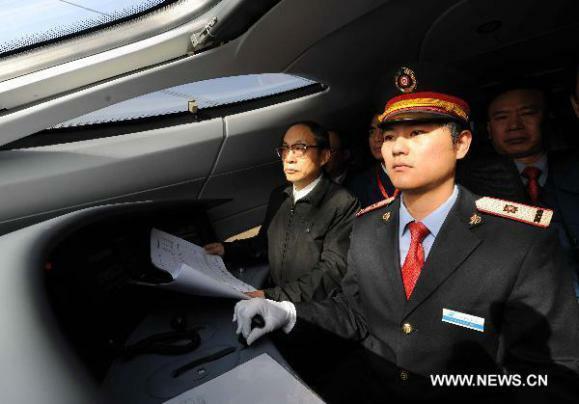 China Railway's High-Speed (CRH) trains have been running between Zaozhuang city in Shandong Province and Bengbu city in eastern Anhui Province – but never quite this quickly! The line forms a segment of the yet-to-be opened high-speed rail line linking China's two main cities, Beijing and Shanghai. If the record-breaking run recorded by train CRH380A on December 3rd, 2010 is any indication, commuters are going to have a tough choice choosing between air and ground travel. 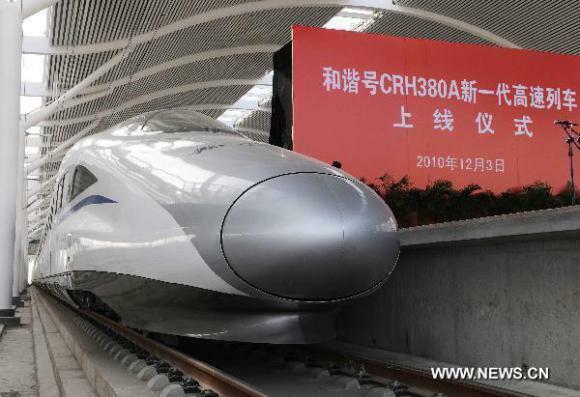 Measurements during trial service on the run showed that train CRH380A reached a maximum speed of 486.1 km/h (302 mph), breaking the world operation speed record for unmodified commercial use trains. With this run, the train obliterated its own previous record speed of 416.6 km/h (259 mph) set a mere two months ago. Bike Lanes Above Traffic In Our Future? Urge a NO AMERICAN HIGH SPEED RR SYSTEM connecting US, Canada & Mexico. Cancun, Ixtapa, Monterrey, Mazatlan, Mexico alone. Jobs 2 be had by ALL.